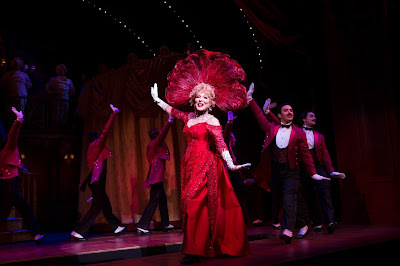 The Musical revival Hello, Dolly!, starring Bette Midler and the feel-good musical Come From Away top the list of winners for the Outer Critics Circle with five awards each. 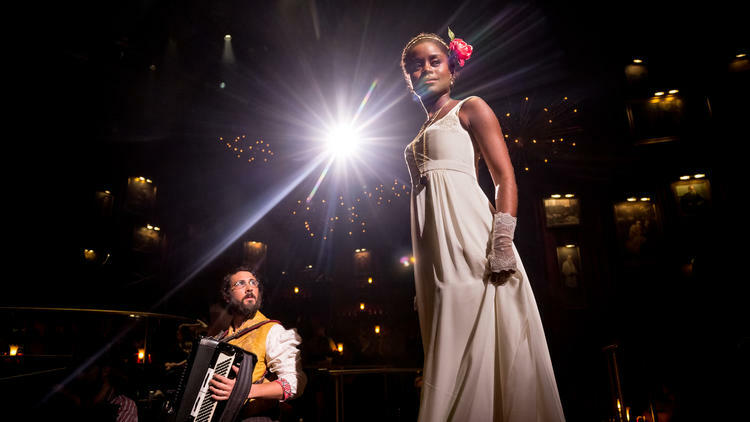 The Little Foxes, The Band’s Visit and Natasha, Pierre and The Great Comet of 1812 each received two awards. 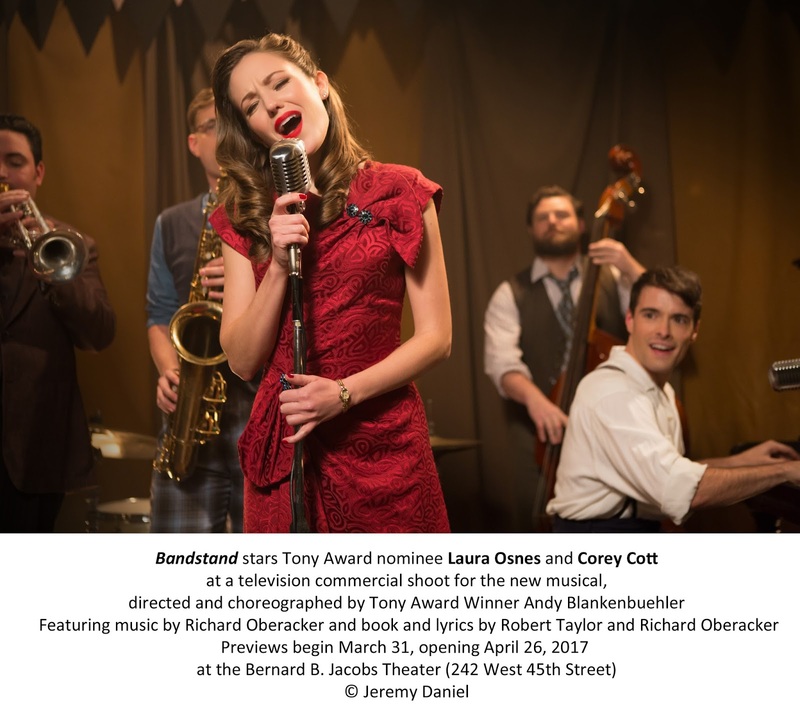 Danny Burstein, Katie Finneran and Christopher Fitzgerald will serve as award presenters at the upcoming 67th annual Outer Critics Circle Awards ceremony May 25 at Sardi’s. 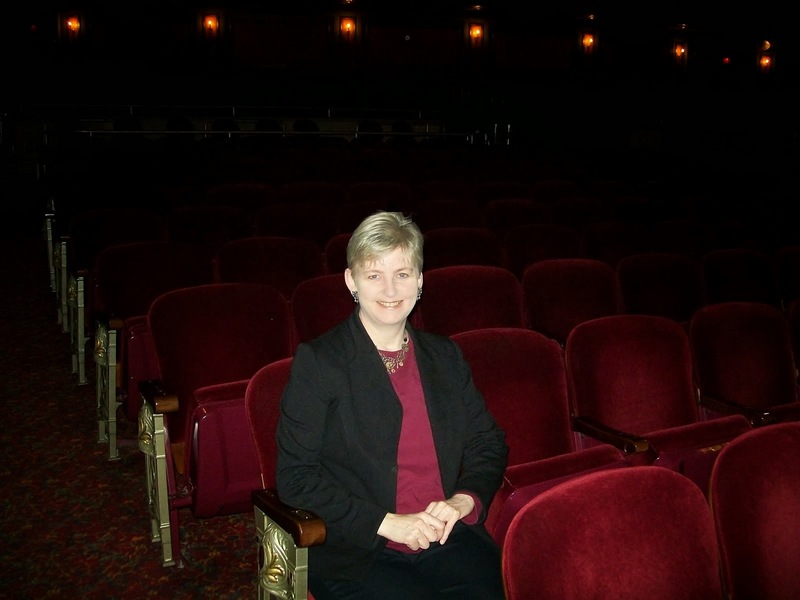 The Outer Critics Circle, is an association with members affiliated with more than 90 newspapers, magazines, web sites, radio and television stations and theater publications in America and abroad. A new musical by Richard Oberacker (Broadway debut) set in 1945. Donny Novitski (Corey Cott). still haunted by his experiences in battle and the death of his best friend arrives in Cleveland to check up on his pal's widow, Julia Trojan (the beautifully voiced Laura Osnes). When a national radio contest is announced to find America's next big swing band, Donny decides to gather some vet buddies and enter the contest for a chance to go to New York. Julia turns out to be the perfect lead singer. The band works through some corruption in the radio program business, but the past and some of the secrets it holds might be too much to overcome when Julia and and Donny discover a chance at love. Always a pleasure to hear Osnes sing. The ensemble is solid: Beth Leavel, Alex Bender, Joe Carroll, Brandon J. Ellis, James Nathan Hopkins, Geoff Packard. What Are the Lowlights?The score, while containing some interesting combinations of notes, seems to lose its way. The band's big song is called "Love Will Come and Find Me Again." a rambling title that telegraphs the cut and polish needed to make this musical shine. The opening scene is quite dramatic, though confusing as Director/Choreographer Andy Blankenbueler (of Hamilton fame) has battle scenes taking place on a domestic set designed by David Korins while Julia does about her daily business at home. It's hard to know how the woman on stage is connected to the action. The story is rather predictable and with little tension, it fails to capture out attention. Paloma Young (Costume Design), Jeff Croiter (Lighting Design), Nevin Steinberg (Sound Design), Greg Anthony Rassen (Co-Orchestrator, Music Supervisor and Music Arranger), Bill Elliott (Co-Orchestrator), Fred Lassen (Musical Director and Conductor), Mark Stuart (Associate Choreographer) and makeup, hair and wig design by J. Jared Janas and Dave Bova. Well, Hello, Dolly! It;s so nice to have you back where you belong! This is going to be a very short review. Go see this show. That is all. The first new production of the classic Jerry Herman musical (based on a Thornton Wilder play) to appear on Broadway since it opened more than 50 years ago is the sensation of the season. It's star, Bette Midler as matchmaker Dolly Levi, leads a dream cast featuring the always delightful David Hyde Pierce as her intended, Horace Vandergelder, with Gavin Creel and the silvery voiced Kate Baldwin as romantic interests Cornelius and Irene. All are at the top of their game, no doubt fueled by the crazy energy in the house as people can barely contain themselves. The house lights come down and applause breaks out. The orchestra (led by the capable Music Direction of Andy Einhorn) hits familiar tunes in the overture and there is more enthusiastic applause. When Midler finally makes her appearance on stage, the house (peppered with celebrities throughout) goes nuts! The show is the hottest ticket in town (well, if you don't count last year's sensation, Hamilton). In its first full week of regular performances, the show shattered box office records at the Shubert Theatre. It might be hard to find a ticket, but you really should try. Everything is a delight. Santo Loquasto's lovey sets and period costumes give the production an old-fashioned charm. They are the perfect backdrop for the big dance numbers elegantly staged by Warren Carlyle. He recreates the feel of Gower Chapion's original choreography while putting his own clever and precise stamp on the work. While some of the actual blocking had me wondering why people were walking around in circles on the stage, Director Jerry Zaks gets the matchmaker of the year award by putting just the right creatives and performers together. Bette as Dolly. What could be better than that? "Before the Parade Passes By" stops the show. 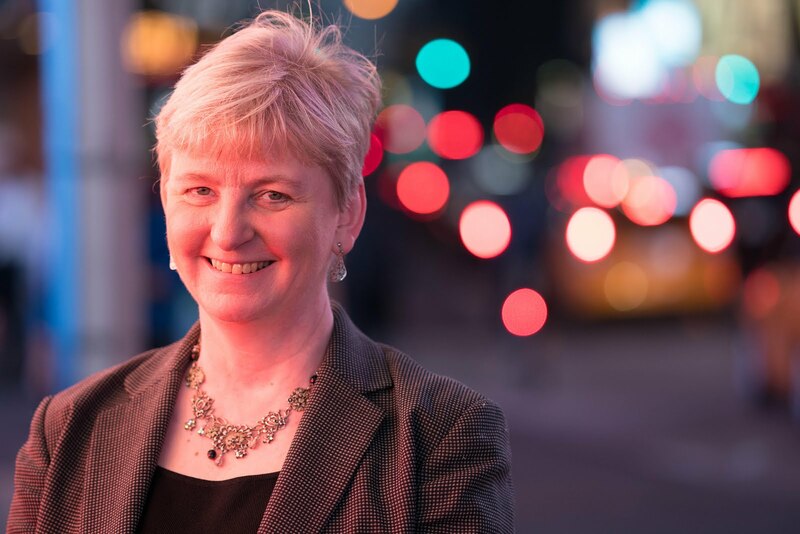 Look for her and the musical to take home some Tony awards on June 11. The show is not just about Bette, though. The other principals all delightful as well. Rounding out the top-billed roles are Taylor Trensch, Beanie Feldstein, Will Burton, Melanie Moore, KevinLigon and Jennifer Simard. It Only Takes a Moment -- get on down to the Box office at the Shubert, 225 West 44th St., NYC for two and a half hours of pure enjoyment. On Tuesdays beginning June 13 Tony-winner Donna Murphy will play the role of Dolly Levi as well as June 27 - July 2, July 5 - 9, Sunday evening July 30, Sept. 6 - 10, Sunday evening - Oct. 15, Monday evening - Oct. 30, Nov. 1 - 5, Friday - Nov. 24 at 2 pm, and Sunday evening - Jan. 7. Bette Midler will perform the role of Dolly Levi on Tuesday - Nov. 21. The ensemble includes Cameron Adams, Phillip Attmore, Giuseppe Bausilio, Justin Bowen, Elizabeth Earley, Taeler Cyrus, Leslie Donna Flesner, Jenifer Foote, Jessica Lee Goldyn, Stephen Hanna, Michael Hartung, Robert Hartwell, Aaron Kaburick, Amanda LaMotte, Analisa Leaming, Jess LeProtto, Ian Liberto, Kevin Ligon, Nathan Madden, Michael McCormick, Linda Mugleston, Hayley Podschun, Jessica Sheridan, Michaeljon Slinger, Christian Dante White, Branch Woodman, Ryan Worsing, and Richard Riaz Yoder. You know how a chocolate candy can look tempting on the outside, but be a terrible disappointment when you bite into it? That morsel is Broadway's Charlie and the Chocolate Factory. Anticipation was high before the show opened at the Lunt-Fontanne Theatre. After all, who doesn't love the story about little Charlie Bucket who finds a golden ticket inside his Willy Wonka candy bar that opens the doors to the amazing, cavernous chocolate factory and a chance to meet the eccentric, reclusive candy maker himself? Well, me -- I never did care for the book, so perhaps I didn't view the show with an open mind -- but everyone else I knew couldn't wait to see one of their favorite stories by Roald Dahl come to life and the West End London production had received positive reviews. With Broadway funny man Christian Borle (Something Rotten, Peter and the Star Catcher) in the role of Willy Wonka and a score and lyrics by the Hairspray team of Marc Shaiman and Scott Wittman, well, as I said, the expectations were high for the Great White Way. Borle does what he can with the material and is amusing at times. The score is not memorable, except, of course, for the Leslie Bricusse/Anthony Newley tune "The Candy Man" from the film version which is incorporated into the first pretty boring opening numbers. David Greig's book tries to update the original, but leaves us kind of confused at times an trying to remember if a plot point was in the book or not. Also failing to excite are the sets, designed by Marc Thompson, who also does the costumes. Some are virtually blank and ask us to use our imagination (the show's tag line is "Imagine," after all), but what works in a book doesn't work on stage. 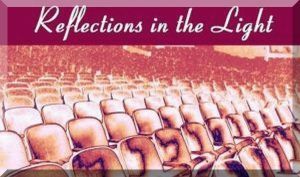 When watching a Broadway show with a cast of 35 performing Joshua Bergasse's choreography, it fair to assume that we should be seeing some amazing, larger-than-life scenery. Basil Twist contributes some enjoyable puppet designs (the Oompa Loompas are a big hit) but some other effects fail like some giant squirrels doing ballet. Some special effects (design by Jeremy Chernick) go too far (I don't want to throw out any spoilers here, but the end of one of the kids with a winning ticket to visit the factory, is rather gruesome and brought gasps of alarm from the audience). And of course, Charlie Bucket (the role is shared by Jake Ryan Flynn, Ryan Foust and Ryan Sell, all making their Broadway debuts). OK, as I was just typing up those descriptions I was thinking, "Gosh, I hate this story...." There's an undercurrent of the adults not watching out for the kids that I don't like.There is a creepiness to Willy Wonka and an unpleasant, adult tone in a show that should be fun for kids. Here's some more storyline that doesn't sit well: Charlie's four elderly grandparents are too old to do much of anything but huddle together against the cold in a single bed in the shabby home kept by Charlie's mother (Emily Padgett) who works hard to keep a rotten meal on the table. She doesn't appear to be too upset by this and is quite perky and neat while singing bright tunes. It is as though Director Jack O'Brien threw up his hands and took a break with his Kit-Kat bar . Oh, wait, there aren't any candy bars in the theater, remember, so that couldn't be it. Grandpa Joe (John Rubenstein), who accompanies Charlie on his tour of the factory, Grandpa George (Paul Slade Smith), Grandma Josephine (Kristy Cates) and Grandma Georgina (Madeline Doherty) have some of the funniest lines and are a highlight of the show. Apparently I am not alone in my lackluster review. The show failed to receive one nomination for any of the major theater awards this season (Outer Critics, Drama Desk and Tony Awards). A national tour has been announced, however. -- I would recommend this for 13 and up. Yesenia Ayala, Darius Barnes, Colin Bradbury, Jared Bradshaw, Ryan Breslin, Paloma Garcia-Lee, Stephanie Gibson, Talya Groves, Cory Lingner, Elliott Mattox, Monette McKay, Kyle Taylor Parker, Katie Webber, Stephen Carrasco, Robin Masella, Kristin Piro, Amy Quanbeck, Michael Williams, and Mikey Winslow. 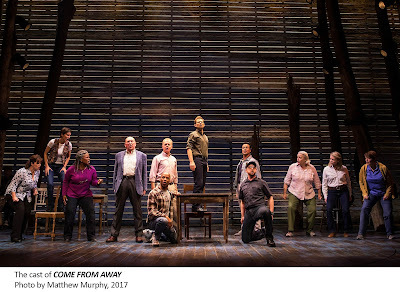 Lighting Design by Japhy Weideman, Sound Design by Andrew Keister, Projection Design by Jeff Sugg, Special effects design by Jeremy Chernick, orchestrations by Doug Besterman and music direction and supervision by Nicholas Skilbeck. 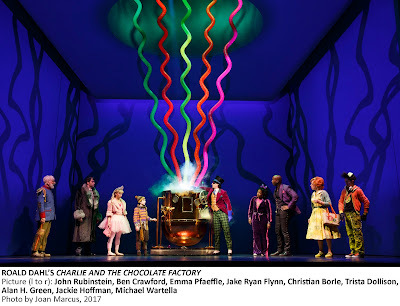 CHARLIE AND THE CHOCOLATE FACTORY opens on Sunday, April 23, 2017 at the Lunt-Fontanne Theatre (205 W. 46 St). Nominations for other awards will be announced tomorrow. The Tony Awards® Administration Committee has announced that based on the recommendation by the American Theatre Critics Association, that the Dallas Theater Center in Dallas, TX, will be the recipient of the 2017 Regional Theatre Tony Award. 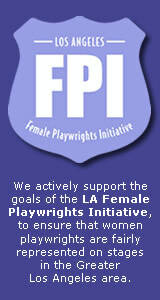 For close to 60 years, DTC’s innovative, dynamic programming has made a significant mark on the Dallas community as well as the American theater at large, highlighted by its sustained focus on producing new works, supporting a resident acting company, utilizing theatrical space in surprising ways and engaging deeply with the diverse Dallas community. Under the direction of Artistic Director Kevin Moriarty and Managing Director Jeff Woodward, Dallas Theater Center currently produces a vibrant season of new plays, classics, and musicals. The Diane and Hal Brierley Resident Acting Company demonstrates DTC’s abiding commitment to supporting a core group of resident artists. DTC annually serves an audience of more than 100,000 North Texas residents. DTC’s National Arts and Humanities Youth Program, Project Discovery, provides in-depth theater experiences for thousands of teens from 30 North Texas high schools. Since 1986, Project Discovery has allowed over 265,000 students and teachers to experience and study the finest in live, professional theater. With equity, diversity and inclusion as a core value, DTC is dedicated to expanding access and breaking down barriers for all people in its diverse North Texas community. The American Theatre Wing’s 71st Annual Tony Awards, hosted by Tony and Academy Award-winning actor Kevin Spacey, will air live from Radio City Music Hall on the CBS Television Network on Sunday, June 11, 2017 (8:00-11:00 PM, ET/delayed PT). The Tony Awards, which honors theater professionals for distinguished achievement on Broadway, has been broadcast on CBS since 1978. 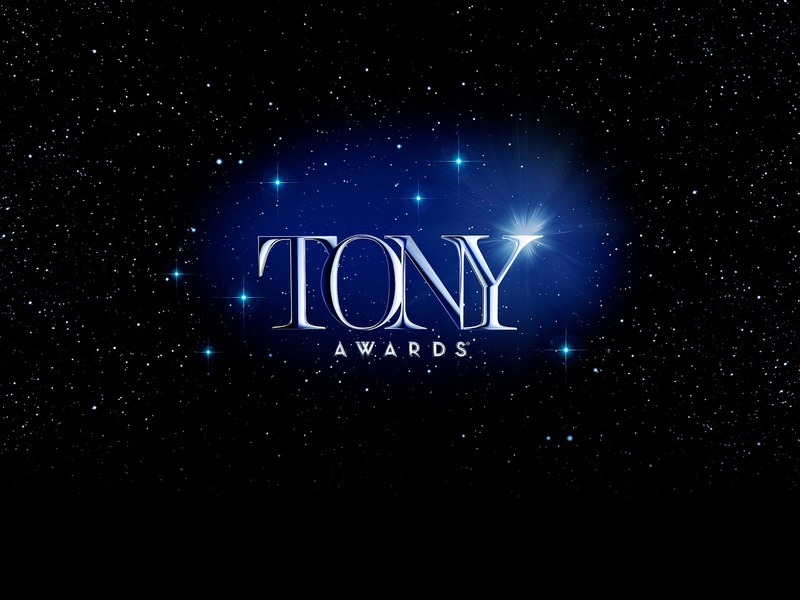 The Tony Awards are presented by The Broadway League and the American Theatre Wing. For more information on the Tony Awards, visit TonyAwards.com.